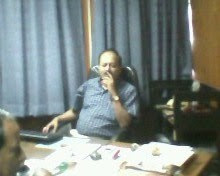 ALL BENGAL CONTRACTUAL WHOLE TIME TEACHERS ASSOCIATION: ATTENTION ALL FULL TIME CONTRACTUAL LECTURERS!!!!!!!!! ATTENTION ALL FULL TIME CONTRACTUAL LECTURERS!!!!!!!!! 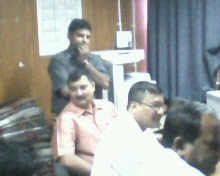 A DEMONSTRATION OF THE FULL TIME CONTRACTUAL LECTURERS TOOK PLACE ON THE PREMISES OF BIKASH BHAWAN TODAY (6TH DEC'10). A TEAM OF REPRESENTATIVES FROM THE DEMONSTRATORS MET THE JOINT SECRETARY, DPI. FROM THE JOINT SECRETARY, DPI, IT WAS LEARNT THAT THE GOVT. ORDER REGARDING THE SERVICE CONDITIONS OF THE FULL TIME CONTRACTUAL LECTURERS WILL BE RELEASED WITHIN TWO-THREE DAYS. HOWEVER, THE REPRESENTATIVES HAVE PUT THE MESSAGE ACROSS THAT WE ARE NOT READY TO WAIT ANYMORE AFTER WEDNESDAY. HENCE, ALL THE FULL TIME CONTRACTUAL LECTURERS ARE REQUESTED TO PRESENT THEMSELVES AT BIKASH BHAWAN BY 2 PM ON WEDNESDAY POSITIVELY. PLEASE TREAT THIS AS EXTREMELY URGENT.